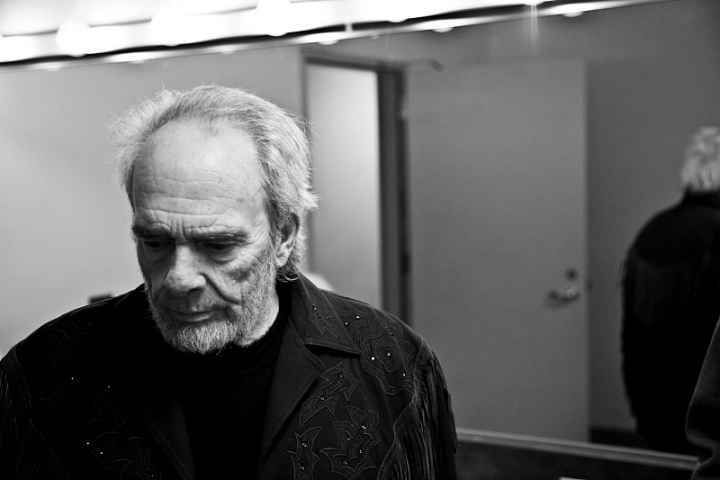 Merle Haggard never said he was immortal. Still, the country music icon, who died this week on his 79th birthday of complications from pneumonia, knew as well as anyone that his music would endure. He’d lived not only to see so many songs he’d written be appreciated as classics, but to perceive his influence on succeeding generations of artists who, frankly, owe him everything. In 2010, Haggard was riding especially high with a new album, I Am What I Am, his first since beating lung cancer the year before and one of the most optimistic works of his entire career. Drawing on themes of love and trust (with moments of uncertainty along the way), the album is the unsparing testimony of a man humbled by his blessings. Calling from his Northern California ranch that year, Haggard (73 at the time) echoed much the same sense of positivity. Still, as he proved throughout the conversation—unpublished until now—discontent had by no means eluded his thoughts altogether. This album could have gone in a completely different direction. You know, I’m glad you pointed that out. I hadn’t really thought about it. I haven’t written any “poor me” songs, but you’re right. It could’ve went in that direction. A lot of artists have had health scares and their subsequent works were kind of dark. It’s easy to fall off to that side of things, but it really don’t do no good. As bleak as it may look, coming out of lung surgery with your life and no chemo and no radiation is quite a joy if you look at it from the right perspective, I think. In the overall themes of the album it seems you’re not only expressing love and gratitude, but also relief—relief that you’ve found this contentment. I think that if you believe in yourself and if you believe in love and happiness, then the assessment of my life would be that I’ve come pretty close to that mark. In a sense, you also seem like a man still learning about love. Or is this just something you’re more willing to admit now, that you still have things to learn? Well, I think that love is something that you give. I’m not sure that love is something that you get. Are you still learning about how to give it? I don’t think you have time to worry about getting it. I think you have to give it and it has to be unmerited. There’s no judgment on it. There’s no saying how much you’ll give, how little you’ll give. You’ve got to just keep giving. If you ever change your attitude about that and look around and start looking for something to come back in your direction you’ll probably leave, throw your stack and start writing blues. I’ve heard people say they’re only so many chords and, after a couple hundred years of people making music, to find something original to say lyrically as well as musically is a challenge. Well, there’s three main chords. From there you can go anywhere, but you’ve got to come back sometime in the future to those three chords. It’s what you do in between that distinguishes you. I guess so. I don’t think there’s any end to it. I don’t think that there’s a time when we’ll use it all up. I think there’s just as much available… Ah, man, there’s more available than is being used. I’ve found that the melody depends on the story, and the attitude of the story. That’s where I come with the melody, in trying to present that. As far as your songwriting is concerned, is everything you experience fair game for you as a lyricist? Do you fear giving away too much of yourself or of those you may write about? There are songs that I write that are too profound to release. And they’re good and they’re probably hit songs, but because of better judgment I don’t release them. I write into an area that I’d be too involved with my belief and probably shouldn’t get into that area too much. Then again my belief says I should be overflowing with that. There’s a lot of illness with a person my age. I’m 73 years old and I could tell you some sad stories. I had a friend die yesterday at five o’clock, a buddy I’ve had here the last three or four years, Sonny Langley, passed away with stomach/liver cancer yesterday. Ex-pug, had 141 professional fights, lost one fight. He fought people like Willie Pep, some of the greatest fighters of all time. He died yesterday at five o’clock. God, it’s just everywhere I look. My best friend died last May. It’s in that period in my life and to find something happy, you really grab onto it and if it’s a subject worth writing about you’d just kind of write too many songs probably. It’s a harrowing experience to endure. It is. And everybody has to. And everybody has to have two sides to their life. You’ve got to have this business side and go on and if you intend to succeed you probably should portray a positive attitude. When you’re not going through positive or uplifting times, do you owe it to yourself as a songwriter to convey that? Probably do. Probably do. And when I die there’ll be an archive of material that will come out that will be probably more personal than this album here. It may not be as happy, but it’ll be more personal. I think that’s one element of the reason why this album’s doing well is because of the personal. It gets down into the part that most people don’t talk about. In “Bad Actor,” for instance, you convey a lot of self-consciousness. When you're in love you’re not always cocksure and confident. I write from all perspectives, from all urges that you might have, but I usually eliminate things that I regard as out of the realm of usability. You know what I mean? There are some things that are too sad, some things too personal, some things overbearing, that with good sense after evaluating you just discard. What perspectives do you bring as a songwriter at 73 that you didn’t have at, say, 43? At 73 you bring more wisdom than arrogance, and at 43 it’s the flip-flop. That reminds me of an interview Bob Dylan gave on 60 Minutes during which he said there were things he couldn’t do anymore as a songwriter, but that there were also things he could do that he couldn’t have done when he was younger. That sort of says what I said about arrogance and experience. One’s on one side when you’re 43 and it flip-flops when you’re 73. I’m a little older than he is, but I think he’s more intense about his writing than I am. He’s Bob Dylan—he’s number one. He’s very serious about his writing, I can tell you that. He’s very much to himself. He doesn’t do anything except work and write. Work and write. As songwriters you each present your aesthetic in different ways. You write in rich, almost literal narratives and Dylan uses a lot of metaphors and obscurities. What was the original catalyst for you to write your own lyrics as opposed to being a musician who covered other people’s songs? Other than your memoirs, have you ever had the desire to expand into other areas of writing like prose or poetry? I’ve written a lot of poetry. I’ve written some really good poetry, I think. Probably come to the surface when I’m gone. I had a little old book that I stole on the road, don’t know what happened to it, but it’d be wonderful to have around now on the website. Yeah, I remember writing something about catching a big bass. It was all about this fight between this bass fisherman at night and he had this big bass on and he fooled him with a live waterdog. He had him hooked deep in his throat, and with one minor lunge he was gone and pulled him about half out of the boat. And it goes on like that. Then there was a thing that I was involved in writing, this really poetic—I guess poetic’s the right word—called The Four Dogs. It was where I impersonated an Irishman. I said [in thick, Irish accent], “Hi, lassies and laddies, I’m the man in the hills with four dogs, and recently in from the old country with different speech and we make customs and all. Makes me appear strange when they see me on the mountainside with me four dogs.” That thing’s nine minutes long and each dog... One dog is Love, one dog is Hell, one dog is Hope, and one dog is Faith. Faith is blind, and he doesn’t use much Hope. Finally Love goes away and Hell is the only thing that’ll stick around. That’s kind of chilling. Hell stuck around. That’s not one of the ones you lost, is it? No, I have that. It was recorded less than perfect. It’s nine minutes long and it’s a classic. It’ll come out someday. They’ll have some magic way of fixing it all. Oh yeah. It wasn’t a hit but it was an interesting recording. Did you record that in the same studio with him? We were together on that, as best I remember. Things run together. I’ve been in the studio a couple times with Ray and I don’t remember whether it was when we’d done that. We might have done it at two different places and still been together a couple times in the studio. I’m not sure. Seems to me like we were together we we’d done that. We’re talking about thirty years [ago]. That song as well as your early Epic hits were when I first discovered your music as young kid. On a personal note, you’ve been my father’s favorite artist since the ‘60s, and as I grew up I learned to appreciate your music through him—and it’s been so rewarding. You’re such a wonderful talent. Well, it’s a wonderful gift, and I just try to maintain. I have this wonderful family and I have this wonderful career, and they don’t mix very well. I have a son graduating June 4th [from high school], and I’ve got this beautiful date that they want me to play, this spa down here in Santa Barbara. They want to give us all golf games and facials, all that stuff. It’s one of the greatest spas in the world. They want me and Bennie [Haggard] to come down and play for them. I said, “No, we can’t do it. It’s his graduation.” He’s got things two days in a row. He graduates on the fourth, and on the fifth we’ve got a party for him. Then the Prairie Home Companion wants me on the fifth. They don’t want me on the eighth. They want me on the fifth. Both of them are extremely prestigious jobs that people would kill to get, and I’ve had to turn both of them down. When you have to draw a line between the two, your kid’s going to win over another gig. You bet. I’ll never be sorry that I did that. Great article! The music samples reminded me of how great a songwriter he truly was. 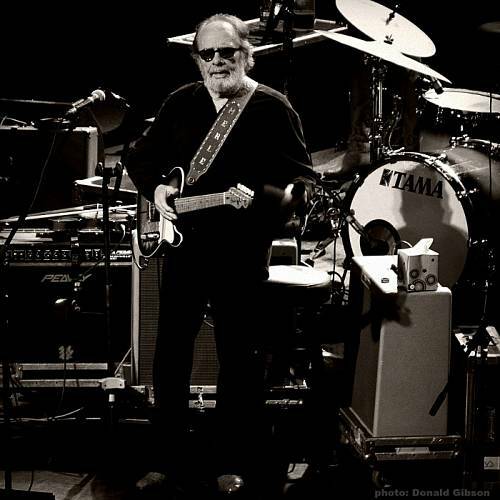 My dad, who was a country artist in his own right, thought Hag was the greatest. Merles musical influences are still heard in country music today.